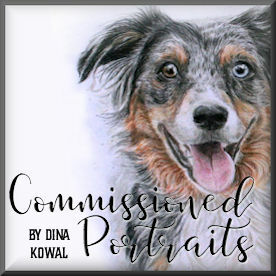 Dina Kowal Creative: Pencil Basics update! 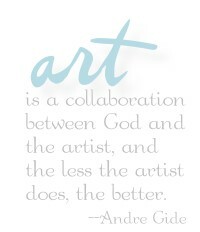 I'm excited about the opening of my colored pencil class, Pencil Basics, this coming Monday (Sept. 9th)! So far, I have 24 ladies who have preregistered, and we've been chatting in the private Facebook while we wait, while dusting off and sharpening our pencils and putting them in pretty rainbow order! You can register and begin the class at any time, and work through the content at your own pace... there's no time limit, and you'll have access to the content forever... BUT there's a special discount being offered to those who register before Monday! We'd love to have you join us - you can click on the button above for more information! --How long will I have access to the content? Is there a time limit? Nope, no time limit! Take as long as you like. --Will the lessons be available to download so I can print them or use them offline? Yes, all the lessons are formatted in pdfs as well as the online class. There are download links for the video content as well. --What if I don't have pencils or other supplies yet? Can I still sign up? No worries! Come on in anyway. 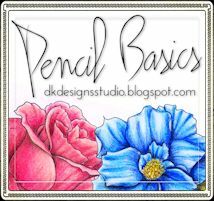 The first few lessons are packed full of information about all kinds of pencils, along with colored samples and my personal recommendations, plus links to products you can purchase online. --I don't use Facebook, is that ok? No problem. We're mostly just chatting in there, and participants can share their work and progress if they want. No extra instruction there. --What's a Google ID? The class is hosted on a private Blogspot site, so you'll need a Google ID to be able to sign in. You don't have to use a gmail address. You can find more info about Google ID here. Thanks for posting the FAQs. I've just signed up & really looking forward to learning so much more about using colored pencils. Learned about this class through a friend. Clicked on the site @ http://dkdesignsstudio.blogspot.com/ but some of the links are broken. Thought you might want to fix them. Also, I may be blind, but I don't see a date the class starts? Thanks and I hope to get signed up!